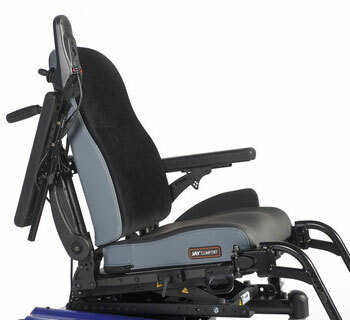 Quickie Salsa R2 Powerchair With Adjustable Seating. Powered tilt module (0° to 30°) with centre of gravity adjustment to suit correct users balance. 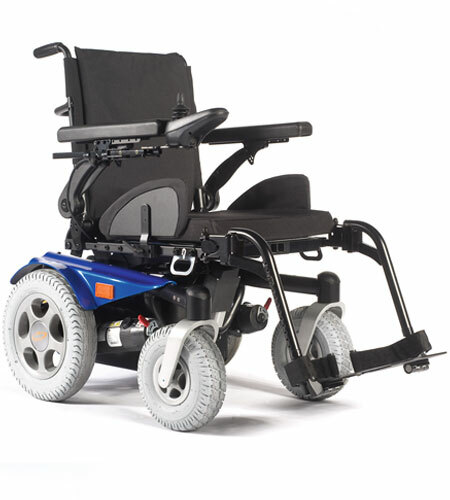 The Salsa R2 is transit tested according to ISO 7176-19 and therefore approved for transportation in a vehicle. The tests are carried out with the 4 point tie-down system and the optional Dahl docking system for an even easier fixation. 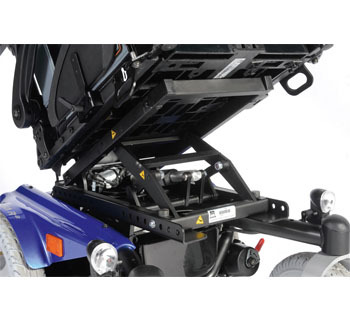 The Salsa R2 can be ordered in a configuration which is ready to fit the Dahl docking system. Pretty darn good. Nice and nippy, turns well round corners with no noticeable slowdown while turning, decent curb clearance and a decent speed too, needs a bit of tinkering for those with long legs. The one major downfall is that the armrests swing back to allow easy access, but cannot be locked in place so when you try to grab the armrests to help you move around (i.e. move your bum to a comfier position) the armrests just swing back, however, there are so many good points about this chair that I am almost willing to forgive the one bad point.